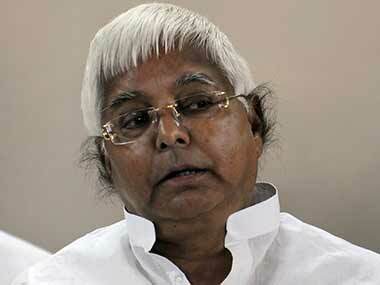 New Delhi: A Delhi court Saturday granted bail to Rashtriya Janata Dal (RJD) chief Lalu Prasad's wife Rabri Devi and son Tejashwi Yadav and others in an Indian Railway Catering and Tourism Corporation (IRCTC) scam case lodged by the Central Bureau of Investigation (CBI). 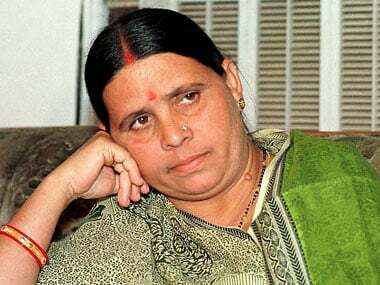 Special Judge Arun Bhardwaj also granted interim bail till November 19 to Rabri Devi, Tejashwi Yadav and others in a money laundering case filed by Enforcement Directorate (ED) in relation to the alleged scam. The court also directed Prasad to be produced through video conference on 19 November in the cases filed by the CBI and the ED. The court granted bail to Rabri and Tejashwi Yadav in the CBI case on a personal bond of Rs 1 lakh and a surety of a like amount. However, the regular bail was not granted to the accused in the ED case after the agency sought time to file a reply to the bail applications. The court had earlier granted interim bail to the accused, except Prasad, on 31 August till date in the case filed by the CBI after the agency had sought time to file a reply today. Earlier, the court had summoned and asked Prasad's family and all others involved to appear before it. 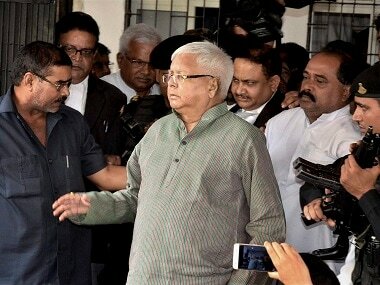 Prasad did not appear before the court on Friday as he is imprisoned in a Jharkhand jail on another charge. The case is related to alleged irregularities in granting the operational contract of two IRCTC hotels to a private firm. The CBI, which had on 16 April filed the charge sheet in the case, had said there was enough evidence against Prasad, Rabri, Tejashwi and others. Earlier, the CBI had informed the court that sanction has been procured from authorities concerned to prosecute Additional Member of Railway Board BK Agarwal, who was then the group general manager of the IRCTC. Besides Lalu Prasad, and his family members, former Union minister Prem Chand Gupta and his wife Sarla Gupta and Agarwal, then managing director of IRCTC PK Goyal and then IRCTC director Rakesh Saxena were also named in the charge sheet. The ED had filed a case based on the CBI FIR.